Many congregations take advantage of Pastor Appreciation Month to formally convey thanks to members of the ministry team. While we’re enjoying the last lazy days of summer, October seems light years away. In reality, it’ll be here in less than six weeks! 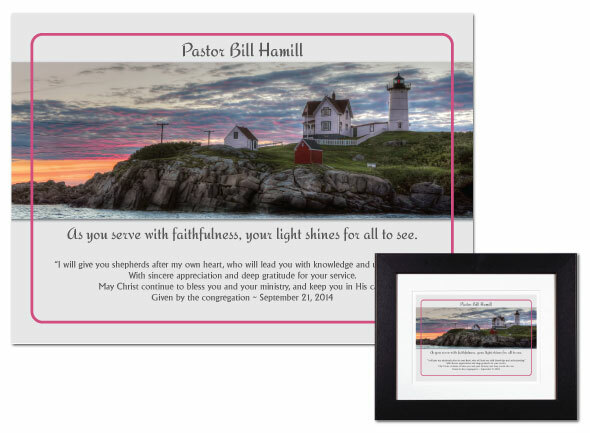 If you’re planning something in conjunction with ministry appreciation at your church, browse our collection of personalized plaques for clergy. We’ve just added two new designs so now there are even more to choose from!